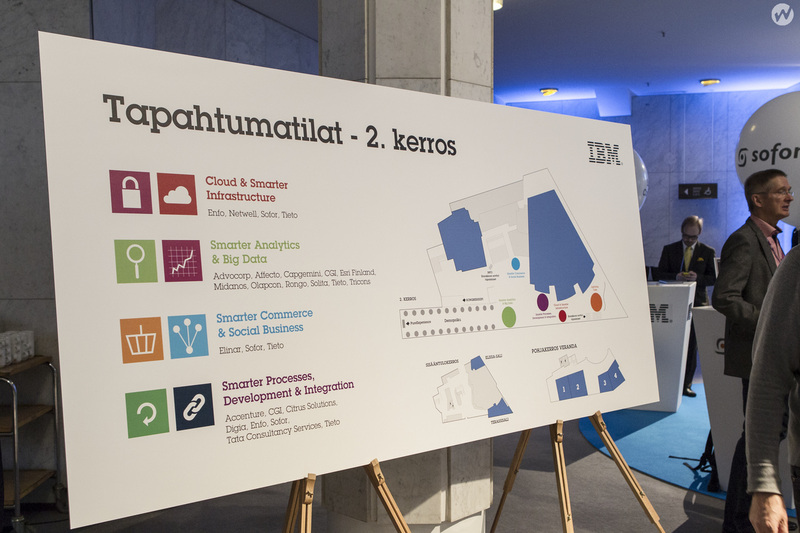 We recently went to IBM’s Smarter Business event, which took place on 10 October at Finlandia Hall. We learned more about the increasingly important role Big Data and analytics will play in the coming years for businesses. That’s a topic dear to our own hearts, too, as Comptel works hard to help communications service providers (CSPs) leverage all of the information at their fingertips, turn it into contextual intelligence, and improve their business decision-making and performance. In particular, Big Data driven by smartphones, devices/sensors and social media, and insights, predictive analytics, mobility, cloud and the customer experience played a central role in the event. We would like to share the key takeaways from the variety of customer, partner and IBM presentations and live product demos. 1. Big Data will make a “segment of one” a reality. Part of optimising Big Data analytics is about achieving a new level of personalised marketing. Let’s call it “segment of one.” As the number of customer touch points continues to increase, the intelligence from each touch point can help master customer interactions across different channels. In turn, this will allow marketers an extremely granular view of customer needs, allowing for true individualisation and customisation of solutions and interactions/engagement. 2. Visualisation. Advanced visualisation tools and dashboards for business intelligence and predictive analytics, also known as the “face” of analysis and insights, will help democratise data across an organisation. Where reams of numbers and solid data only legible to IT were once the norm, newer tools offer easy and intuitive interfaces that make data accessible to more stakeholders than before. This will usher in new perspectives on how to leverage data accordingly, because everyone from the CMO and CIO/CTO to the sales team will be able to get involved. 3. Process Optimisation. With powerful analytics tools that can span different departments, businesses will be able to better gauge efficiencies and effectiveness. That will allow for a deeper understanding of essential business parameters, challenges and anomalies. By providing a comprehensive and holistic view of customers, business and technologies, an analytics dashboard will allow companies to create a clearer picture of what should be done in development, marketing, system optimisation and more. Maybe the best way to demystify predictive analytics is by presenting the business results that have been achieved with it. At IBM’s Smarter Business 2013, those results were described as “astronomical,” as the proper application of predictive analytics can significantly reduce churn and improve campaign success rates by exponential degrees. As the democratisation of data and devices continues, we can only expect to hear more of the same. This was a very insightful and well organized event. We gained plenty of valuable information and are looking forward to visit IBM Smarter Business again next year. Three years ago, I was writing my first blog post about how I had received a package from Formula One racer Kimi Räikkönen, the coolest guy in the universe. In Finland, as part of our school traditions, every first grader gets his or her first mobile phone at the age of seven. That is when our award-winning school system begins to educate our offspring in order to meet OECD and Pisa test requirements. The battle for these new mobile subscriptions is fierce, with communications service providers (CSPs) offering a wide range of options to parents and their kids. This week, the same package arrived for the next class of first-graders – only this time, Angry Birds had replaced Mr. Räikkönen as the mascot. Finnish mobile operator DNA Finland sent a prepaid SIM card to every Finnish mom (including me) who had a child that was born in 2006 and entering the first grade. Three years ago, I thought that this campaign was extremely clever. Now, though, I’m wondering if DNA Finland could have learned something during the past three years. Sure, the mascot may have changed, but the campaign is largely the same. With new tools like predictive analytics available to CSPs, it seems like the marketing could become much more sophisticated. 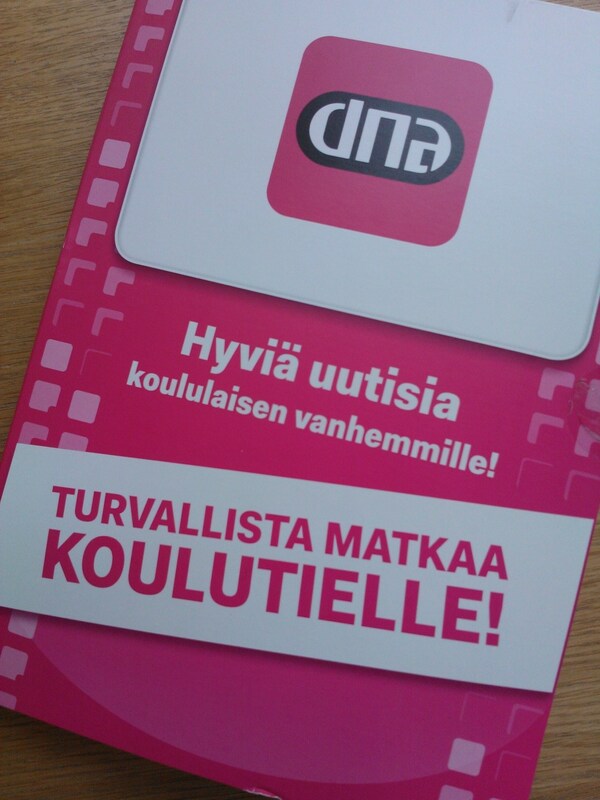 DNA Finland knows that I am not their customer and the same applies to other household members. As Comptel’s recent global consumer study showed, having friends and family members who were using the same operator was the third most important factor (41%) for consumers when choosing a CSP. Does DNA Finland know that I didn’t choose them three years ago? Could this campaign have been better customised for mothers who aren’t already DNA Finland’s customers? I have been waiting for Elisa’s counter offer and I’m wondering if they are using analytics to discover that I am extremely likely to bring them new business by August. After all, our family already has a wide selection of Elisa’s offerings – four mobile subscriptions and one broadband (ADSL) connection. One mobile subscription is for the enterprise customer segment, our broadband connection is in the corporate segment and the rest of our SIM cards are under the consumer customer brand Saunalahti. I can’t help but wonder if all that information is scattered across various silos and systems. That could make it difficult to apply analytics to all that data and leverage it for new marketing campaigns. Ulla Koivukoski, Comptel’s senior vice president of the analytics business unit, recently wrote about the distinct silos in CSPs and how business units aren’t always looking to solve the same problems. Customer Experience is the issue that bridges the divide between all the competing business interests. And, while receiving an Angry Birds-themed package is nice, I would have remembered something that was personalised a lot more. With current targeting methods marketers typically end up either with target groups that are too defined and small – it does not make sense to campaign or the campaign scope is too generic and therefore likelihood of inaccuracy increases, as the case in the angry birds campaign. Comptel Social Links can change the mind-set in marketing by combining the marketers’ expertise of selected target group with machine learning letting the algorithms find the customers most similar to the obvious customers. Predictive modelling results will be available for the marketing team instantly, resulting in more accurate hit rates for campaigns, higher customer satisfaction and finding optimal users for the product or service marketed. CSPs want to make sure that customer service is as good as possible. If you’ve delivered a great customer experience, your efforts are turned into new business opportunities. The first step, though, is to find out just how to use the data you already have to deliver that customer experience. Maybe the next group of first graders will get packages that are a little more customised. This week, we hosted a media event in Sofia, Bulgaria, where we have an important global service delivery site. We employ more than 70 IT professionals there and are hoping to grow this office in the coming years. Our team caters to European and Middle East and African customers—quite often in cooperation with our global service delivery team based in Kuala Lumpur, Malaysia. The theme for the event was built around the Barcelona-in-the Box concept, but this time, we wanted to highlight the Bulgarian market. Ulla Koivukoski gave a presentation entitled “Bulgaria on the Global Mobile Map,” which covered three main themes: Enriching the User Experience – Enriching the Operator, Big Data, and Business Transformation – Reshaping the Operator. What we learned is that the Bulgarian mobile market is very similar to the markets in most European Union (EU) countries. For example, the number of post-paid customers is high when compared to the prepaid market, which accounts for just one-third of subscribers. 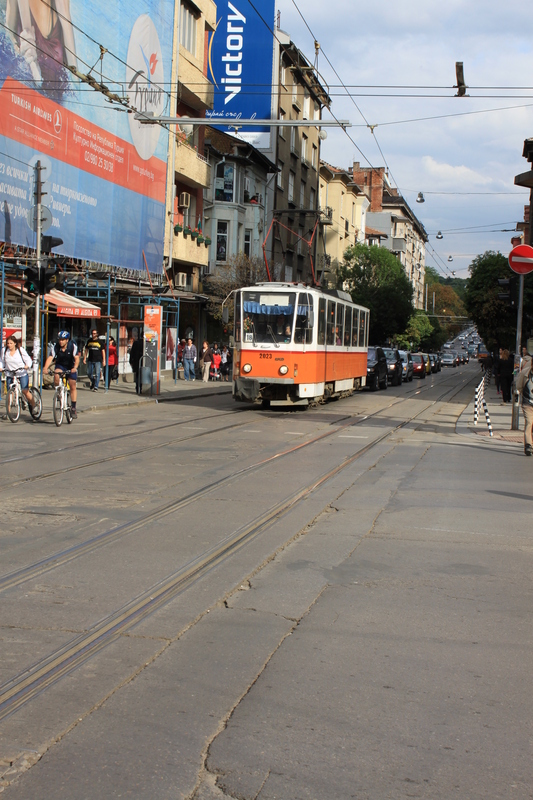 The challenges in the Bulgarian market are also very similar to others in the EU. According to Business Monitor, the mobile average revenue per user (ARPU) in Bulgaria declined 25.3 percent in 2012, while mobile sector growth was at 5.5 percent and reaching 167.1 percent market penetration. This means that communications service providers’ revenues are getting thinner, and at the same time, there are investment plans for bringing LTE to the market. The Bulgarian fixed broadband market is very advanced, and therefore, customers also have great expectations for mobile data. 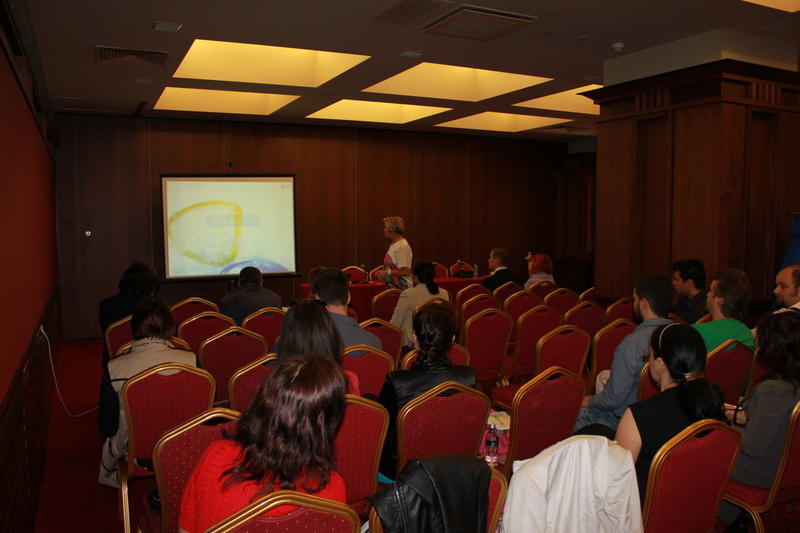 During the event at Grand Hotel Sofia, the attendees shared their views about the Bulgarian mobile market. Most people admitted that they very seldom use mobile data, instead relying on open Wi-Fi networks that are widely available. Local operators could turn things around and monetise this traffic using LTE or operator-owned Wi-Fi. We also brought new ideas concerning how to apply our ‘Event’-‘Analysis’-‘Action’ strategy to build business and showed one use case demonstrating how we can derive value from data with operational predictive analytics. Comptel is ‘Making Data Beautiful’ with automated decisions that drive action, and we were honored to show the attendees in Sofia just how we do that. Sometimes, a brand can become so powerful that it can carry the entire organisation and even take over as a corporate identity. We come across many stories where a brand becomes larger than life, bigger than the corporation running it, thus creating the ultimate experience for the customer. That’s the sign that a brand has fully delivered on its promise. At Comptel, we did a brand refresh last year to align with our ‘Event-Analysis-Action’ strategy; the essence of it is captured in our slogan, ‘Making Data Beautiful’. Such a simple brand promise requires serious behind-the-scenes planning, because we have to tackle the complex, real-world scenarios behind Big Data, and introduce Comptel’s technological innovation and strategic framework as a key differentiator. So how do we make data beautiful? I usually get this question from a lot of different people, from journalists to customers to new employees. My answer is simple: we specialise in telecommunications and have been serving companies that have staggering amounts of data (Comptel processes 20 percent of global mobile data) for more than 26 years. This data has been collected, processed and analysed—and turned from intelligence into real-time opportunities for our customers. Ultimately, what we do brings people closer to their interests and their loved ones. We think that is beautiful. The tag line expresses not just what Comptel does, but how we feel about our brand. It combines the rational (data) with the emotional (beautiful). Together, these two values basically define our company. We apply analytics to data in a way that allows for intelligent decisions, smart operations and the automation of customer interactions—turning Big Data into business opportunities for communications service providers (CSPs). 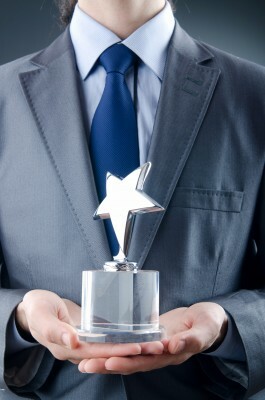 We recently got recognised for our ability to take CSPs to the next level in customer experience management. Such recognition not only endorses our brand but also helps to quantify value for our customers. We are constantly thinking of partnerships to enhance our portfolio and fulfill our brand promise to our customers. Recently, we’ve been working with salesforce.com to commercialise the smart order validation opportunity. Comptel showcases the value of our growing portfolio to our customers through a solid track record of reducing costs, supporting service innovation, enabling operational excellence and improving the quality of customer interactions for CSPs across the globe. Creating and maintaining a valuable brand may look easy, but it involves great thought leadership, engaging the right audience and constant validation to support your positioning in the market. Your brand helps build the perception of your organisation, and it goes much further than just your logo. After all, you need to stand out to be noticed, and what is a better way to be noticed than being a brand that delivers on its promise? Mobile World Congress 2013 (MWC) in Barcelona had the highest attendance ever with 72,000 visitors. Every year, many of our customers do not have the opportunity to attend or meet us there, and to that end we created a customer workshop concept ‘Barcelona-in-a-Box’. The idea is simple – if you couldn’t attend MWC, we bring it to you. We built the workshop concept on three key industry topics which were discussed during MWC and continue to be on the agenda of almost every CSP. To set the scene for the Barcelona-in-a-Box sessions, we shared our observations on the industry, based on extensive and in-depth discussions with major operators across the globe, insight we have gained from industry analysts and an independently commissioned report. These observations addressed increasing smartphone penetration and how it’s driving up data usage, but not necessarily increasing revenues – largely due to pressure by OTT services such as WhatsApp, Skype, YouTube and Facebook (to name a few). Secondly, we discussed how bundled tariffs and packages are increasingly attractive to mobile subscribers, assisting CSPs with customer “lock-in” and positively driving up revenues. We highlighted the next evolution of the bundled approach through creation of fully shared data plans, as seen in the US market for example. Finally, as an observation we deliberated that while LTE rollouts are still in their early stages, the importance of attracting the right high-use customers to adopt the highly valued (and highly subsidised) handsets is key for accelerating ROI on those infrastructures. To ensure that we have the correct data on consumer needs in place, we at each session discussed the locally relevant results of the consumer survey, Customers Yearn for the Personal Touch from Their Mobile Operators, we made at the end of 2012 with Vanson Bourne, an independent research firm. We polled 6,000 consumers from 12 countries across EMEA, Latin America and Asia Pacific on their service usage and spending habits, as well as their relationships and satisfaction with their mobile operators. Comptel Social Links, predictive analytics to improve and automate every-day decision-making at each customer touch point and serve customers based on their individual needs and techniques of finding the right customers for new products. We have already taken Barcelona-in-a-Box across the Middle East, Europe and Asia receiving great acclaim for our initiative and its content, being quoted as having “a fresh approach” to actively engaging with our customers. The Comptel team has enjoyed the lively debates and sense of shared understanding of the industry state and prospects for the future. Based on the feedback, we have validated that Comptel is in-sync with CSPs and our solutions suitably address their needs. We are excited to see which topics are on top of the agenda for Barcelona in 2014! A good month ago I changed my position from heading Marketing and Communications to leading the newly established Analytics Business Unit in Comptel. Since then, I have had six customer meetings in the Middle East Africa and Asia Pacific regions in addition to the kick-off workshop with the new team and one week of holiday. To sum up, I could state that my past six weeks have not been boring. Some of my friends and my dear daughter have asked about the constant source of energy to go for something unknown or new. Advanced analytics is still taking its baby steps in the telecommunications industry. One friend was teasing that wouldn’t it be nicer just to focus on gardening and fishing instead of running constantly into new challenges. The answer to the latter question is naturally yes, but when one has the passion for something else, why not to go for it as long as the inspiration and motivation is there? And the former question? I simply love my job and my colleagues from whom I learn everyday something, if nothing more, about myself. What keeps me going then? Think back to one of those moments when you succeeded in making somebody really happy and were appreciated for it? How did you feel? I’m sure you felt good. It’s the same with my job. Those of you who have been in the technology business know that it’s not always bed of roses when delivering complex solutions. However, when you have delivered the solution and see the satisfied smile on the customer’s face, you can feel good as well. You might not be as emotional in this sense as I am, but it’s maybe worth reminding that customer satisfaction and customer profitability have a strong correlation. During the trips to the regions, it was my great pleasure to meet one of our customers whose marketing team was very happy with the results which we had delivered together with them. I also met some communications service providers (CSP) who don’t yet have our analytics, but who got nearly as excited as I about the business opportunities we could bring to them. To be fair, I must admit that I also visited a customer site, where we are still in the building phase and are a bit learning the environment and way of working. However, I was really delighted to experience the spirit of collaboration “to build the success for both parties”, as the customer stated. How do I know whether we are adding value? The hot topic of the entire ICT world is Big Data. There is a lot of hype around it and some scepticism, whether the CSPs can ever really monetise it. In telecommunications, the tendency has been to invest in large systems and then start building something valuable on top of it. The market is changing faster than it used to, and maybe there is a need for more dynamic and ready thought-out solutions to address specific business issues? This is the way how we think we can help derive value from Big Data. We have been working on specific business cases that are based on some of the real results from our projects. Naturally we have applied them in fashion that protects our customer’s anonymity but are still very enthusiastic about the opportunity, for example, to help CSPs prevent churn to both stop wasting their marketing OPEX and get more revenue per customer. One exciting opportunity is related to new technology launches such as LTE, but there are many more. Although I did not have time to participate in the Management World 2013 in Nice, I can remotely celebrate the announcements which we have posted at the event. Naturally the greatest pleasure was the Pipeline Innovation Award of the Customer Experience Management for Comptel Social Links. The other news, such as the innovations intent with a cloud computing leader, Salesforce.com and collaboration with Tech Mahindra Limited show that we as a company have succeeded to encourage our people to come up with non-traditional ways of delivering customer value and to understand the importance of partnerships. The first weeks with the Analytics Business Unit have been hectic and I don’t expect anything less from the future, but there is so much positive momentum and customer interaction that it keeps me and the team going. Yesterday, I was able to listen to some of the customer experience management (CEM) sessions held here at Management World Americas. Of course, customers were the core element of these presentations, but what became abundantly clear was that more than ever, customers are being thought of as assets to service providers’ business. When it comes to CEM, it’s no longer just about managing the experience – true CEM is going beyond that and ensuring each interaction with the customer is positive and consistent, which in turn will build a stronger connection with the service provider. For instance, I listened to Joe Ewan from Innocent, a UK-based consumer food and drink company that specialises in natural smoothies and juices. This company has the number one smoothies in Europe and a giant fan-base because, as Joe put it, they invest the time and effort for a two way relationship with customers. One piece of advice he gave to telcos is that it’s easy to talk, and it’s harder to listen – but if you listen, you can learn. For example, every month Innocent generates a report that summarises feedback from the various customer channels like email, Twitter, Facebook, etc. This is a truly honest synopsis of both the positive and negative, and has been used to drive real change in the business. In addition to helping improve products and processes, this approach keeps customers satisfied because they like knowing that their experience matters. I saw this approach exemplified in a case study session with Equinix, a premium carrier data center provider offering global interconnection opportunities. For Equinix, a seamless global experience is essential with over 60% revenue coming from customers across multiple regions worldwide. To achieve this, it mapped the customer lifecycle and looked at each interaction, keeping in mind that every touch-point is important. What the company developed was a 360 customer view for quick and effective communications. For instance, they learned that some customers were unhappy because they were receiving too many messages from the carrier. The answer was simple – cut down on these communications. Now, Equinix provides a seamless experience to their customers and was able to drive positive change just by listening. It’s refreshing to learn of examples like these as we continue to put the customer first, and I’m eager to hear more as the show progresses. Have you heard any interesting customer-centric stories recently? 2. And if the test of this was interest in finding solutions for it, then it is spot on! The majority of conversations yesterday with operators visiting our stand was about customer insight, serving customers more personally and better targeting of services to meet individual’s needs. These conversations could have been about simple analytics or segmentation … but they were more: they were about individual subscribers being treated as individuals. … and best of all was being able to explain how Comptel’s Social Links product can meet this by allowing CSPs to better determine customers’ needs, wants, likes and dislikes at a granular level based on historical and real-time data and predictive modelling … and in context. 3. We have the best stand in the show!!! Not my words only … but several visitors made this statement. Not the biggest or fanciest … but one that perfectly illustrates our tagline of “Making Data Beautiful” … a calm, clean and organised beacon of illumination among the chaotic hustle and bustle of the show. And our engagement solutions built around the “Event-Analysis-Action” paradigm is brought to life as it slowly rotates on our back wall turning heads of passers-by … literally! Come see for yourselves at stand #C05. The second Zain Technology Conference was held in Dubai on 5th – 7th of November. Comptel participated actively with a booth presence for the entire three days, and we were also part of the series of presentations by vendors and partners who were invited to present at this conference. Zain Group is based in Kuwait and has a commercial presence in 8 countries across the Middle East and North Africa (Bahrain, Jordan, Kuwait, Iraq, Saudi Arabia, Sudan, South Sudan, and in Lebanon). The group has over 6,000 employees, and they provide mobile voice and data services to over 41.3 million active individual and business customers as of September 30, 2012. In his welcome speech, Mr Hisham Akbar, Deputy CEO and COO of Zain Group, talked about deploying technology that is aimed at serving the customer first and foremost. This strategy links very well with our focus on providing a holistic customer view to CSPs, including customers’ social, demographic, behavioural and contextual attributes. CIQ4T leverages our strength in event data processing and real-time action-taking to ensure a continually high quality of experience. Most of the operators in our part of the world face challenges in effective customer segmentation and ARPU growth. Moreover, the introduction of new content and media services are critical issues for service providers. Comptel’s ability in using advanced analytics enables the CSPs to apply predictive, contextual intelligence to everyday decision-making. Comptel was able to generate interest in use cases, especially as the aim of the conference was to get Zain, its operations, and its technology partners to agree on how to achieve a greater convergence on a wide range of technologies and customer experience management tools by using new approaches. 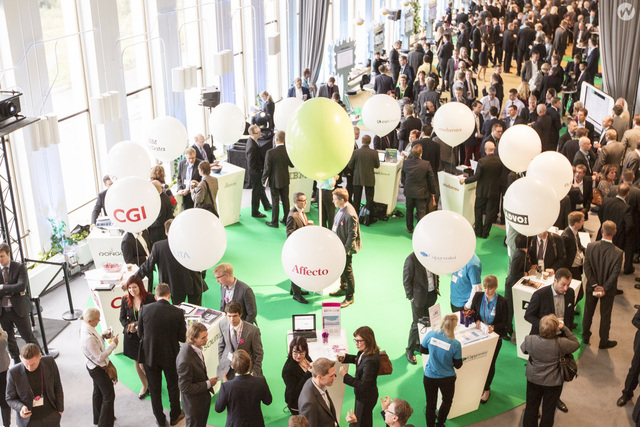 The event hosted a variety of participants from network partners to IT with over 40 companies under one roof. The audience consisted of Zain Group Technology (NW&IT), Wholesale, Procurement, Strategy & BD, Commercial functions and operations (NW&IT). Overall, it was a great collaborative effort from Zain Group to get their key message across to the relevant stakeholders who can better map the plan and drive the successful implementation together with the group. Story: I woke up – and being a family dad taking care of the morning routines for my kids.- and having breakfast with them, all the while waiting for the nanny to arrive and for me to start my regular working day. Story: It was time for me to leave to the airport. I took my laptop bag, gave a hug to the kids. I checked my bags, airline tickets, USB sticks, passport and all other necessary stuff for the trip and ensured they were rather well packed to ensure smooth transit at the airport. I then jumped in to a taxi and waved my family bye-bye, knowing I’d return the same day. Story: At the airport I had done the check-in’s the day before and moved rather quickly through all the necessary security procedures to be early at the gate. I noticed that I had a plenty of time and I chose to go through the story I was going to present one more time over a cup of coffee. Story: When going to the plane by bus transfer I happened to think about the plane I was going to take:. a Bombardier CRJ 200, 1st trip for me on this type. The type turned out to be a rather familiar configuration among the CRJ types I’ve flown before and also similar to many other smaller regional jet configurations. Inside there is a 2+2 seater configuration and I had the aisle seat on row 10, mid-plane. Story: I thought of the topic I was presenting and wondered about the angle to take. I had had many go’s at this, but I had a new idea based on my day. I felt pretty much like sitting on a bus on my way to a customer meeting in the ‘neighboring city’, especially when considering the price tag of the flight: a whopping 49€ (two-way) plus taxes. The fare is also split between the airline and airport, so not a lot. I made a comparison in my mind between how far I would get with about 40€ using long-haul busses or trains and this flight. The conclusion was that air travel is at least as cheap as or even cheaper than busses and trains, especially for comparable distance and speed. Right there and then I realized that I was ‘riding a bus to Copenhagen to give a speech’. Story: Knowing I had a customer meeting before the speech, I ‘fled from the airport rather quickly and luckily, the formalities are rather relaxed in Scandinavia, so rather soon after landing and taxing to the right stand, waiting for the bus to arrive, walking through the customs, entering a taxi after visiting an ATM to get local currency, I was on my way to the conference venue . Phew. Story: At the conference venue hotel, Radisson BLU Scandinavia Hotel, I announced myself to the conference organizer, material and update on my speech slot and also cleared the process of updating my slides for the speech with the organizer, just before I was to meet my customer contacts. Story: I can’t give out many details, but I think the meeting went well with the customer representatives and I felt rather pleased having thought over the story that I walk through with them. Story: My speech started on time. I gave my speech, not liking the fact I was the last speaker before lunch. That is a rather challenging position for a speaker as people may have their minds wandering to lunch, and utilized my own day, like I’m doing here, to add bit of flavor to the message. After the speech, I grabbed my gear, greeted our local team participateding in the conference and spent a few minutes with people talking about my speech and started my journey back home. Story: Sitting on the backseat of the taxi, I prepared myself for as a quick run through the airport as possible. I knew I had to be on that plane if I was to relieve the nanny in time, as her employment contract pretty much is for 8 hours day. We arrived to the airport at 12:45. Story: Although I was in a rush, the rest of the people seemed to be as well, so I did not get any special treatment at the airport and while I felt a strong urge to ‘run for it’, the flow of people and ‘the process’ took it’s time. I boarded ‘the bus home’ pretty much on-time, (by my calculation, I was the 3rd last person to enter), but they did not announce my name yet, nor any others. Story: ‘Just another A319’. I have been in so many to date, but the high-light was the comfy seat and the satisfaction, that it seemed just possible to be at home on time. And the day was pretty successful too. Story: While travelling back, I was checking out a couple of potential business trips and familiarized myself with a few key details I had to pay attention to still by the end of week. I had some coffee to help me keep focused and my mind on the key issues. Once again, this felt really similar to taking a bus and having my own ‘space’ with little interference from other people or the scenery outside. ‘The bus’ landed 10min early and I felt exhilarated to see the plane to tax to a gate nearby the exit area. Time of landing was 15.50. Story: While taking the taxi home, I synchronized emails, sent a few text messages to my wife and nanny telling I would be on time, and made few business calls just to ensure things were moving in the right direction. Story: Coming home, I was immediately being greeted by my kids and a rather happy nanny, who updated me on how the day had gone. I joined my family for a walk with and then later for dinner together. This very long story has a point. 1st of all, it is no longer a big adventure to ‘take the bus’ via air travel. In a similar fashion, the way we communicate is changing from ‘vanity and luxury’ to ‘common and everyday’, even more so by generations younger than mine for example. Prices in commodity markets are known to be tight, and hence it is vital to understand the contexts in which the individual people find themselves in a much deeper and rich fashion to be able to address the exact, detailed needs of these ‘smaller and smaller segments of people’ whose contexts change within day, like mine did on this rather unusual, but still, very interesting day. Contextual intelligence for Telco is all about understanding the fine-grained segmentation of customer base, addressing the needs of the customer within the right context and at the right time and with an attractive interaction. This makes the Communications Service Providers more important and relevant to their customers, and at the same time, makes the CSP a much more relevant party to the so called ‘OTT players’ who I’d like to call partners or customers of CSP. After all, the OTT players , also yearn for accurate and detailed information on the people using the services. This information could potentially be provided by the CSP. How many contexts do you think you have in your life? How much each of them overlap with each other and would you have different needs as a user of communication services when finding yourself in those contexts? Would it be great to have these contexts understood appropriately at the right time with the right kind of service? I would LOVE that and we at Comptel are working hard to making it a reality. 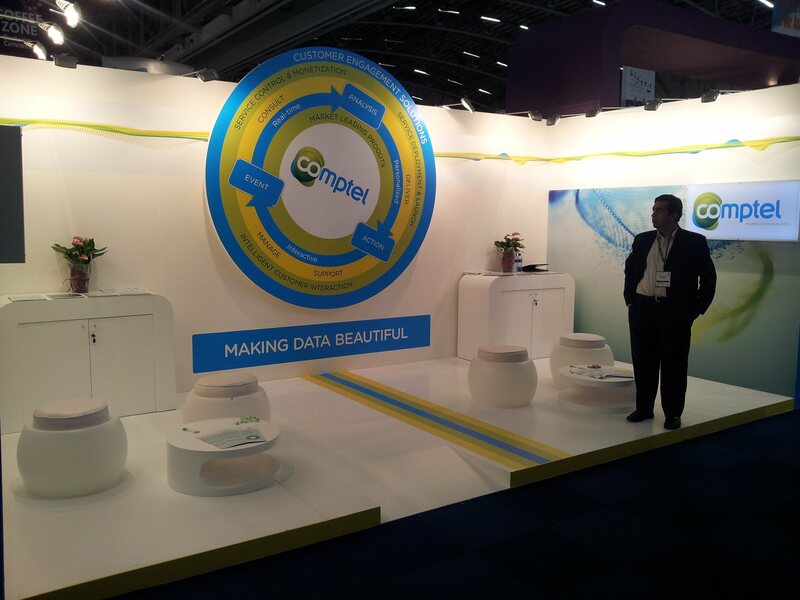 That’s why we at Comptel say “Comptel – Making Data Beautiful”.